Gemstones. 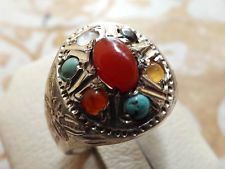 Precious, cut, and polished stones mainly used as a statement in rings (especially within Shia community). These rings are not worn only as a cultural entity but rather as a symbol of spirituality. It is said that it is “Sunnah” (one of the practices of the Islamic prophet Muhammed SAW) for both a man and woman to wear the ring. This concept of the rings containing a gemstone raises a question as to why one is recommended to wear it; and this is why I want to exhibit the gemstone’s deeper and spiritual properties, which you may have heard about indistinctly but, have never looked and read into it intensely. ‘‘Beautiful, Precious, A classic beauty’’ are words most of us use when we have one look at a gemstone, locked into place with a silver band, engraved with Islamic words and names of the members of the Ahlulbayt (the holy household of the prophet Muhammed of Islam revered by the Shia followers) surrounded by flowers and petals. 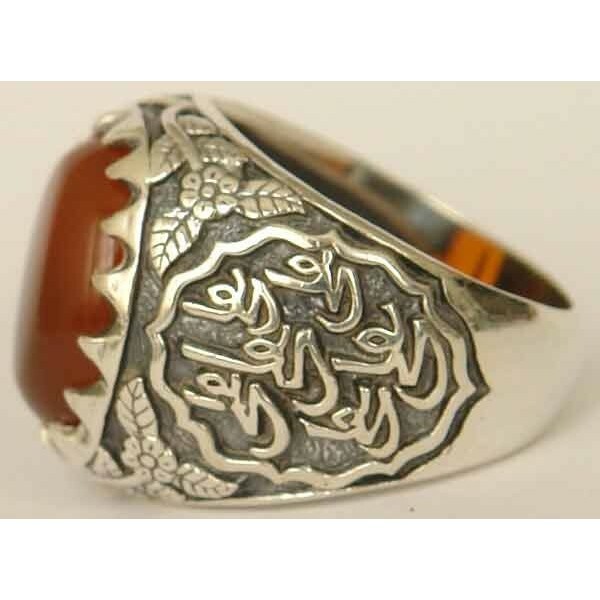 T he Ahlulbayt have told us that the wearing of a ring on your right hand protects you from envy and the evil eye. In addition to the protection, the Ahlulbayt say that one of the 5 signs of a Mu’min (the Arabic term frequently used in the Quran which means a ‘’believer’’) is a ring on his right hand and it is recommended: to be worn on the pinky and ring finger. 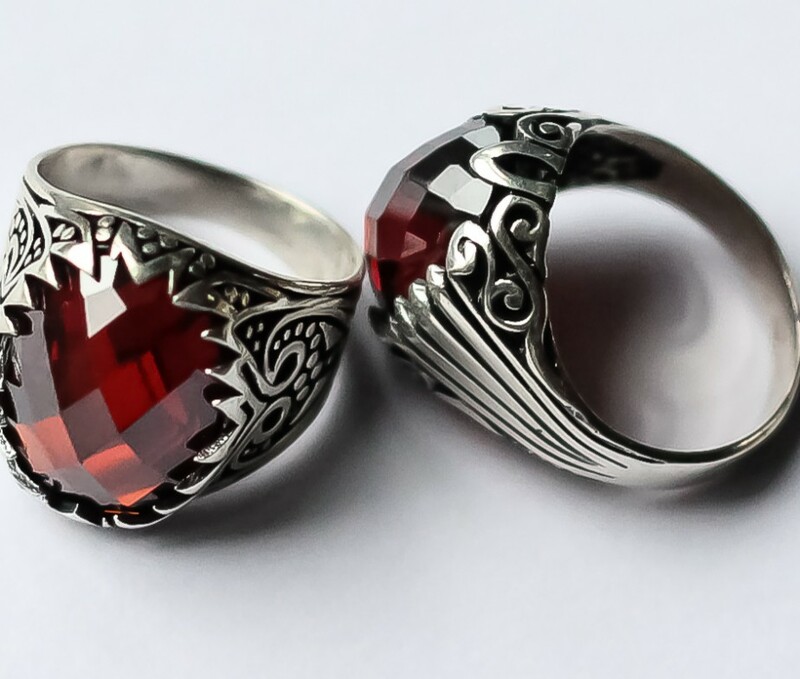 According to some it is said that the Ruby changes in depth of colour depending on the health of the wearer. And it helps improve the eyesight just by gazing at it. According to the 9th Imam, Imam Muhammed Al Jawad (as), wearing the ring of yakoot (ruby),‘’stops worries’’. According to 8th Imam, Imam Ali al Ridha (as), ‘’yakoot eases difficulty’’. The best form of the Aqeeq is the liver coloured one from Yemen, which is expensive and difficult to find. 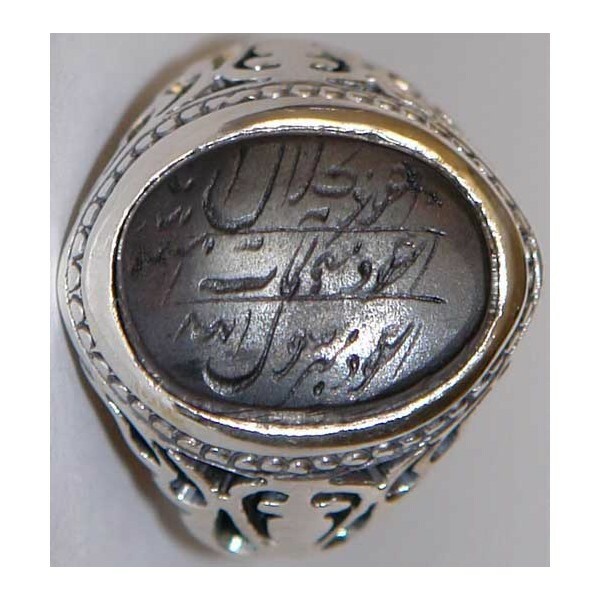 However, Genuine Aqeeq rings can also be purchased from Iran, Iraq, Syria and Lebanon. The best Firoza is a sky blue one, which Iran is famous for. It is said that it is best to remove the Firoza as soon as any crack is apparent on the stone. The Firoza stone has tendency to change colour over time and if Musk touches the Firoza stone, it will make its beauty and shine disappear. One does not have to always wear it. It is recommended not to wear it too long. Only when one is afraid of some kind of mischief in which one would wear it when visiting that environment. And from some sources it is said Imam Ali (as) would wear it when he went into war. Lastly the fifth ring. This stone is only found in Najaf Al Ashraf either in rivers on land. The very glance of it, Allah rewards the wearer the reward of Ziarat (a form of pilgrimage), Haj and Umrah. The beauty of this gem is that it is not very costly like the other gems and because Allah is ‘’merciful’’, Allah has made this gem very easy for both the poor and rich to obtain and wear alike. In Islamic teachings it is said to clean, rinse it in water and to leave it in the sun for some time, every once in awhile. In many communities today there are many cases of divorce, relationships with the family breaking down, and even kids suddenly failing their exams after so much hard work and accomplishments at school or university. Many of those people do not realise why this happens in their life and when you come to ask them why, they wonder why this is the case and come to the conclusion that it may be luck. (Aya No. 51, Surah Al-Qalam, Chapter No. 68, Holy Qur’an). There is absolutely no doubt that some people envy you by looking at what you possess such as: your house, husband/wife, and children. There are two aspects to it. There is the psychological side and material side (which you can touch and study) and which modern science can’t prove or disprove. This will keep your heart always linked with your religion. Like an invisible golden chain that links you to the Ahlulbayt (as) and the prophet Muhammed (saw) and Allah (swt). Even if it is an object and is not true which many people are against. You being able to give it your secrets and being able to wear it makes it something special that you are able to hold on to. The beauty of the psychological side of it is that nobody can take share on that belief or interfere with it. It is something personal and it can stay with you as long as you live. It’s a medicine, it’s a cure, a solution, which helps you live, and has no negative affects on you. It can be measured it can be tested: from the weight, its reflection, qualities radiation and so on. But because the research is so expensive and will not lead to a substantial finding. It has therefore been dismissed and been ignored. It’s known that certain stones react with certain glands i.e. thyroid glands or even encourage pregnancy. Gemstones have been proven to have special characteristics and benefits that can enhance ones abilities. But, this is a deep study, which needs a lot of resources, which involves time and money. 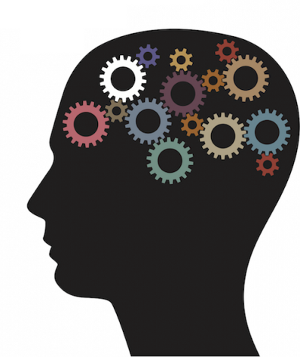 By this discussion now, I am inviting you to think and understand it through a spiritual side. 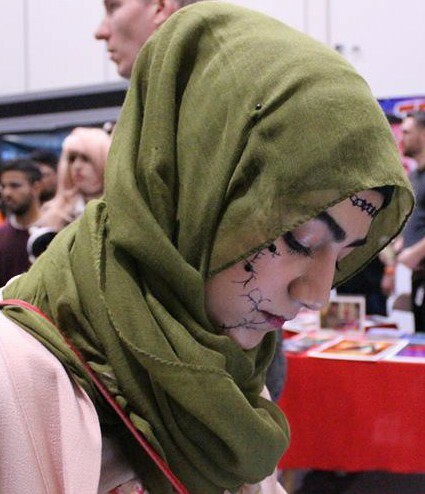 It doesn’t affect the lives of people or have any negative influence on the body and it is a beautiful entity to have a different angle to the life of people and interconnect our bodies with other parts of Allah’s creations. I went to a class one time on rings and the different meanings before helping my buddy open his Jewelry Store. 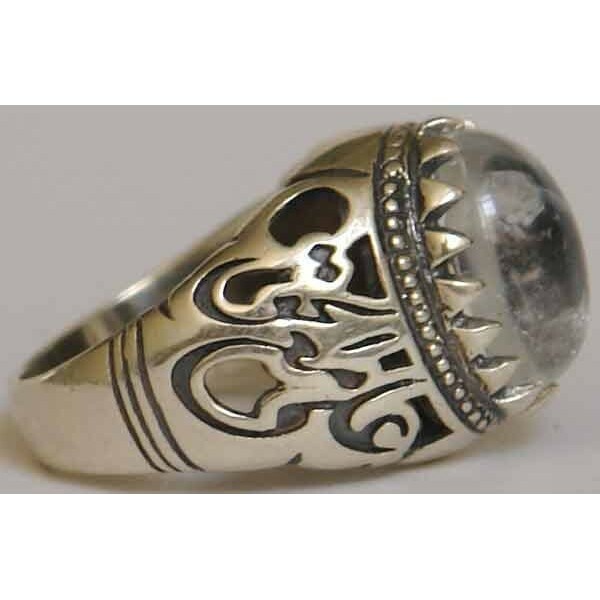 I love the different meanings rings and inscriptions can mean! Hi i’m a big fan of your work, please keep it up. And a necklace with a same stones.